Do you have missing teeth? 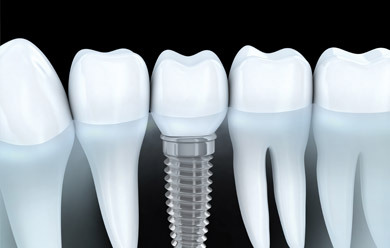 Dental implants are a secure and natural solution! Straighten your teeth with traditional metal braces or with Invisalign clear aligners. Dr. Thomas has extensive knowledge in restoring teeth. Trust your smile with her! Tacoma Dental Centre is a family dental clinic in Dartmouth, Nova Scotia. Dr. Joanne Thomas and the team excel at providing you one-on-one service. We take pride in getting to know our patients and their families and we offer you a warm welcome to our office. We offer a comprehensive range of dental services to keep your family's smiles happy and healthy. Our modern, friendly and welcoming office offers a combination of exceptional personal attention and advanced dental technology. Our specialty is providing a total overview of your dental health, and we'll take the time to get to know you and your current and future needs. Our goal is keep our patients, and their smiles, healthy for a lifetime. We hope your family will choose us to be your Dartmouth dentist.